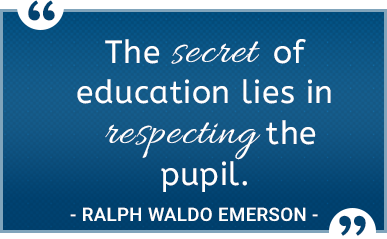 We offer a wonderful Gifted Education program here at Fountain Hills School District #98. Please take a moment to check out the opportunities we offer to students in this educational program. The Fountain Hills Unified School District will be offering three rounds of gifted and talented testing for the 2018-2019 school year. The first round of testing will begin in August. Students may apply for testing only once per calendar school year. If you are interested in having an assessment completed for your child, please turn in a completed application. We will not accept incomplete applications. You may see the front office or your child’s teacher for assessment information if needed. Applications are available at the school sites or see below. The first testing window for all school sites will be August 27, 2018 - September 14, 2018. Applications are due no later than August 20 to the front office of your child’s school. The second testing window will be January 21, 2019 - February 8, 2019. Applications are due no later than January 14 to the front office of your child’s school. The third testing window will be April 22, 2019 - May 10, 2019. Applications are due no later than April 15 to the front office of your child’s school. If you have any questions, please feel free to email Allison Barbor, Director of Instructional Support. Gifted students will demonstrate the traits of a scholar and develop a love for learning while engaging in differentiated curriculum and instruction to become analytical thinkers, creative producers, and problem solvers. We will provide learning experiences that are responsive to the cognitive, creative, and affective development of gifted students by applying educational theory and research based models of culturally relevant curriculum and instruction designed to ensure specific student outcomes.